We will all be peacefully gathering along Spaanschemat River Road from Constantia Village Mall. Our aim is to show the authorities who sit on the Baboon Technical Team (being the City of Cape Town, Cape Nature and Sanparks) that we, the residents of Cape Town do NOT want our baboons killed. 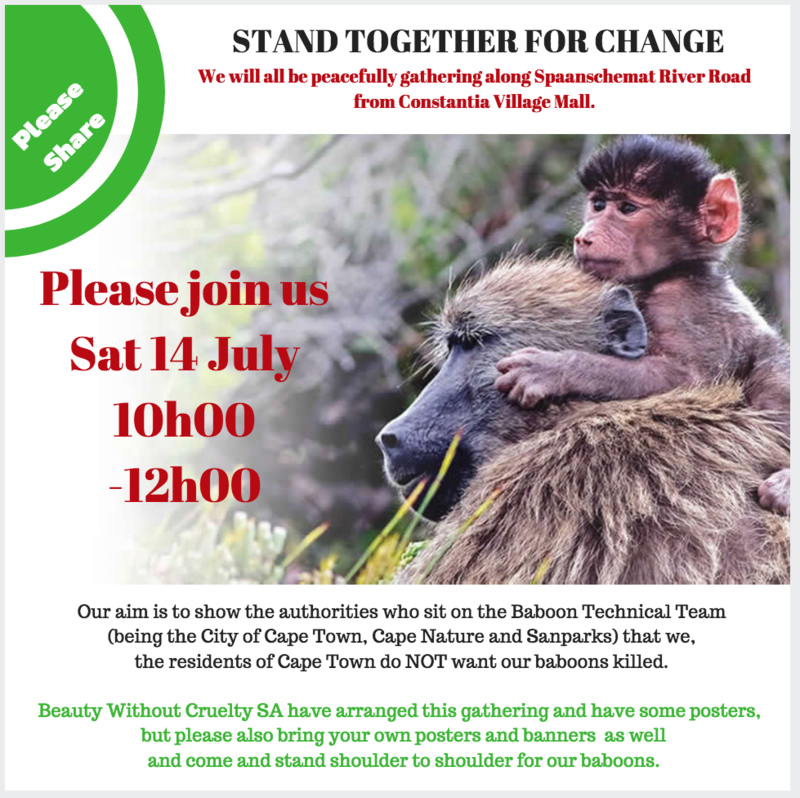 Beauty Without Cruelty SA have arranged this gathering and have some posters, but please also bring your own posters and banners as well and come and stand shoulder to shoulder for our baboons.